Refugee Artistry is a multi-faceted arts project with a mission to explore refugee and migrant experiences through the creative and performing arts. Our primary objective is to use the arts as a vehicle to give a voice to the voiceless. We are actively seeking a broad range of artistic submissions by and about refugees and migrants, including artwork, photography, music and the written or spoken word – poetry, prose, plays, journal/diary entries, oral histories, video clips. The goal is to create multidisciplinary cultural events and creative arts programming from among the materials submitted, for the purposes of educating and enlightening audiences about refugees. 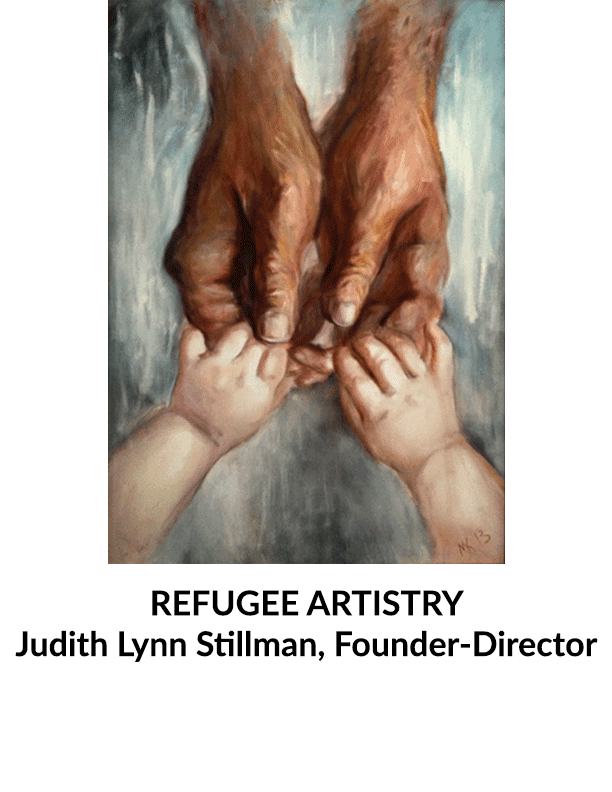 In exploring refugee journeys through the creative and performing arts, underscoring the concomitant challenges and traumas of fleeing persecution, we hope to enlighten and inform, and to foster a visceral connection in which we no longer view immigrants as alien to our sensibilities.